On the eleventh day of the eleventh month at the eleventh hour in 1918, one of the world’s deadliest wars came to a close. Four years of fighting on the battlefields of Europe resulted in the deaths of 20 million men, 66,000 of which were Canadian. For a newly confederated country like Canada, the war was particularly devastating; every province, city and community was impacted. Ever since, Canadians have put on poppies and gathered to commemorate fallen soldiers. Although this Remembrance Day marks the 100th anniversary of the Armistice, it is important to remember that the First World War is not a static event frozen in history. Rather, many of its social, political and cultural repercussions continue to be felt to this day. Several fundamental aspects of current Canadian politics stem from the country’s four bloodiest years: 1914 to 1918. The Great War shaped the nation’s creed, contributed to Quebec nationalism, and prompted female enfranchisement at the federal level. Photo by Openroads.com, via Flickr Creative Commons. Although Canada officially became a country in 1867, many Canadians attribute the birth of their nation to the First World War – in particular to the battle that occurred at Vimy Ridge. 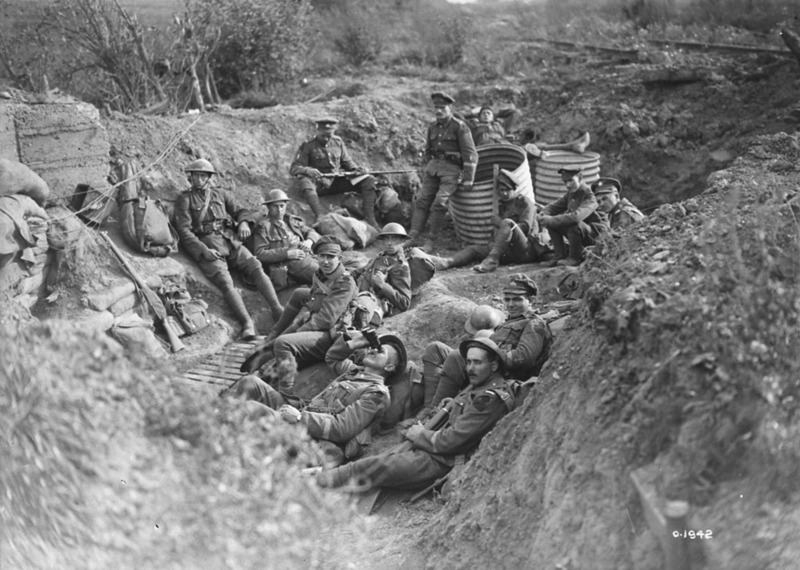 At five-thirty in the morning, on 9 April 1917, 15,000 Canadian men went over their trenches to face a murderous thunder of artillery fire. By 12 April, over 3,500 Canadian men had been killed and 7,000 wounded. Within those four days of battle, however, the Canadians had succeeded in capturing their objective. 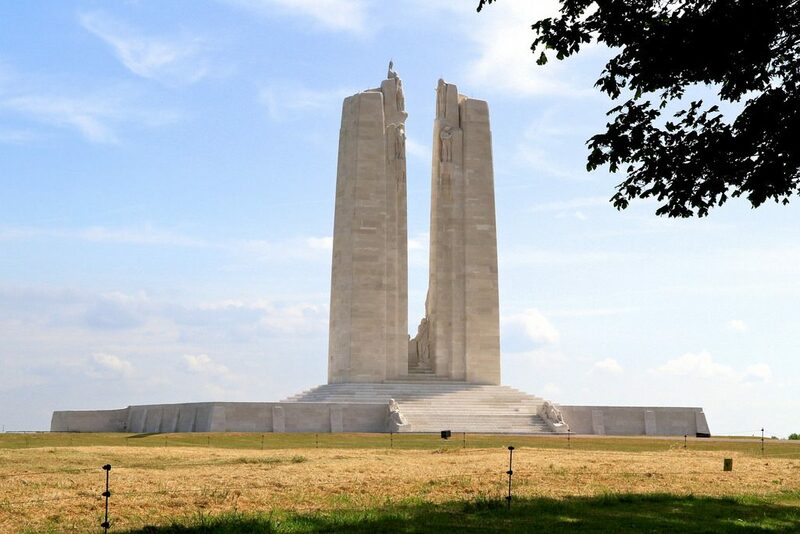 They had effectively pushed the German forces off of Vimy Ridge, a feat that no other Allied country had managed to accomplish in three years of war. In recent years, particularly with the passing of the battle’s centenary in 2017, historians have begun to debunk and question the myth that Vimy Ridge is the birthplace of Canada. Nevertheless, it is evident that out of the First World War came the nation’s creed. Regardless of whether the birth of the Canadian nation actually occurred on a battlefield in Northern France, this foundational myth continues to dominate the collective memory of the war. The First World War thus has an ongoing impact on Canadian politics; it is linked to the collective memory of Canada’s coming of age. While many attribute the birth of the Canadian nation to the battlefields of France and Belgium, the First World War was also an extremely divisive event in Canada’s history. In particular, the conscription crisis of 1917 led to tense English-French relations and the eventual birth of Quebec nationalism. 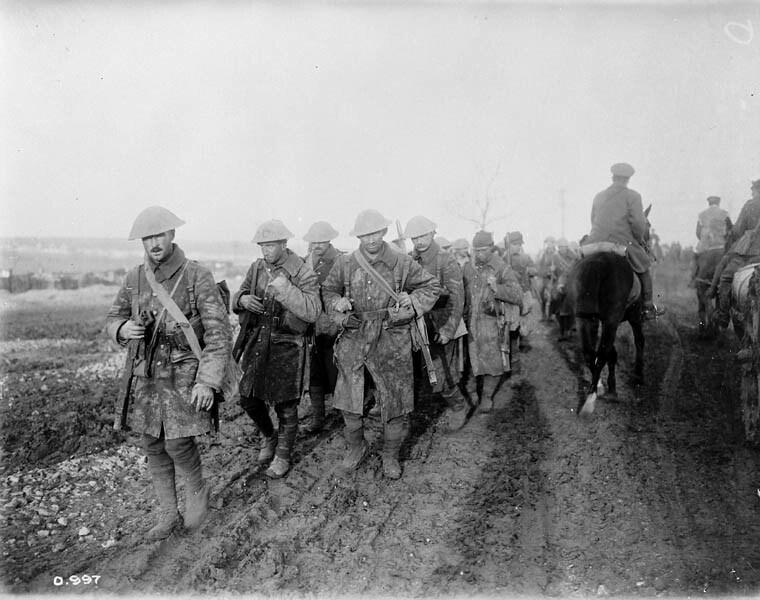 In 1917, after three years of war, troop numbers were dwindling on the Western Front. Then-Canadian Prime Minister Sir Robert Borden concluded that mandatory conscription would be necessary to uphold his promise that Canada would contribute half a million men to the war effort. The Military Service Act of 1917, which called on all male British subjects to enlist, turned out to be one of the most controversial pieces of legislation passed in Canadian history. While the law was widely popular among English-speaking Canadians who saw participation in the Canadian Expeditionary Force as a way to fulfil their patriotic duty toward Great Britain, French Canadians strongly resented its passing. The Military Service Act greatly exacerbated the linguistic tensions already present in Canadian society. Because Francophones felt little attachment to England and imperial politics, they did not want to be forced to serve on the front line. To them, conscription represented assimilation. Even though the idea of Quebec sovereignty did not exist in 1917, historians often attribute its start to this period. The 1918 Easter Riots, in which thousands of French Canadians gathered to protest conscription in Quebec city, showcase the growing radicalization among Francophones; they were beginning to realize that they would always be a minority within the Canadian state. Although the independence movement would not come to full fruition until the second half of the twentieth century, the War of 1914-1918 and its conscription crisis marked the first time since Confederation that Quebec politicians began suggesting that the province might be better off outside of Canada. Because of the controversial nature of conscription, then-Prime Minister Borden realized a grand gesture was necessary to win the upcoming elections. To propel his party to victory, Borden decided to pass legislation that would enfranchise likely supporters. The 1917 Wartime Elections Act thus gave the federal right to vote to the wives, mothers, and sisters of soldiers. As such, the enfranchisement of women is the final way in which First World War continues to be felt in Canadian politics. Although they were not allowed to serve as soldiers in Europe, Canadian women were extremely active in the war effort. Some fulfilled what they perceived to be their patriotic duty on the home front. They worked in factories to fill the labour shortage caused by the war, helping to produce materials that would be sent to Europe. Many others, however, wanted to serve alongside the men on the Western Front – nursing positions were therefore in high demand. In January 1915 the Government of Canada received 2,000 applications for 75 openings. Because women generally favoured the war effort, as seen by their active participation both at home and abroad, Borden perceived them as allies in his fight toward conscription. As such, he decided that expanding enfranchisement to women would be essential to his re-election in December 1917. They would fill the gap in his party’s support base created by the conscription crisis. Although the decision was instrumental to Borden’s political objectives, and did not include the enfranchisement of females of Asian or Indigenous descent, it is nonetheless evident that the passing of the Wartime Elections Act is an important consequence of the First World War. It gave many women the opportunity to vote, a right that none had been able to exercise up until that point. Female enfranchisement is thus the final major way in which Canada’s bloodiest war continues to impact contemporary politics. 100 years ago today, four senseless years of fighting, death and destruction came to an end. A war that was supposed to be over by Christmas in 1914 resulted in the death and mourning of millions across the globe. It also prompted political repercussions which continue to impact Canadian politics to this day. Out of the Great War came our nation’s creed, Quebec nationalism and women’s right to vote. So, as Canadians dorn their poppies and gather this Remembrance Day to commemorate the sacrifices of fallen soldiers, they do so in the context of a society that has been profoundly impacted by the events of the First World War. Feature image by Library and Archives Canada, via Wikimedia Commons.